Kosherfrugal.com - Frugal Living in Israel: Olive Oil Deal! Hey everyone, I'd like to bring this great Groupon to your attention! If you're like me, and are always, I mean always, looking out for the best deal on olive oil, you should check out this Groupon if you want some high quality, local olive oil. 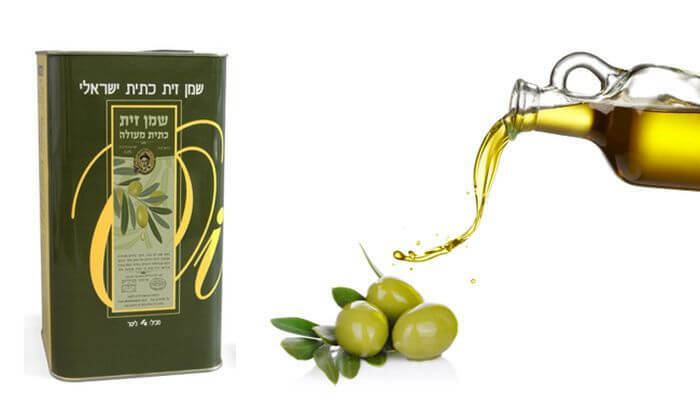 Here's a deal for Israeli Olive Oil (grown on a moshav in the Jerusalem area) - get a 2 liter jug (69nis) or a 4 liter container plus a jar of cured olives (139nis if you do self pickup, or 149nis if you want delivery!). There are several locations for pick-up, but you MUST call to make pick up arrangements at the location you want (the options include: Moshav Baku'a, Be'er Sheva, Rechovot, Moshav Tnuvot, Karnei Shomron). Personally, I really appreciate when things can be delivered to my door, and I am so glad they offer this as an option! Enjoy your Olive Oil deal!